Located in the heart of Revelstoke, our 22-unit motel offers reasonable rates and friendly service. It’s our mission to provide guests with clean and comfortable rooms. That’s why each room is outfitted with a brand new Simmons Recharge Comfort Top Mattress. Great Start Breakfast with Belgian waffles, hot and cold cereal, bagels, toast, English muffins, hard-boiled eggs, yogurt, coffee, juice and fresh fruit. FREE shuttle service for registered guests, during ski season, to Revelstoke Mountain Resort provided by Revelstoke Accommodations Association, Revelstoke Mountain Resort and City of Revelstoke. We offer free high-speed wireless internet that is actually high-speed! Our internet kiosk and free high-speed wireless internet is available for guest use until 10:30pm. Guests enjoy unlimited access to the hot tubs, pool and the fitness centre at the Revelstoke Aquatic Centre! Available upon request: playpen/crib, iron/ironing board and the free use of courtyard BBQ (available in-season only). Common sitting area up to 18 people available from 3:00pm to 10:30pm daily. The Swiss Chalet Motel is centrally located, so guests will have no trouble getting where they need to go during their stay in our mountain paradise. K-Cup coffee maker, flat screen TV with high definition channels, a miniature or bar-size fridge, hair dryer, air conditioning, Sony Alarm clock and an electronic door locking system. 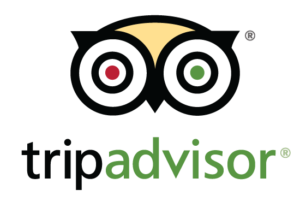 Leave us a review or check out our testimonials on on Trip Advisor.